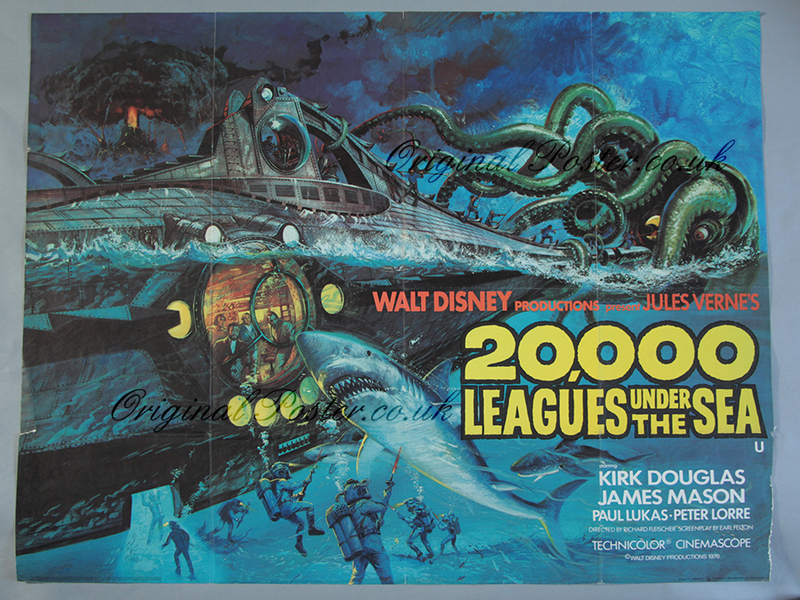 Details Great artwork depicting the Nautilus, the Crew and the Battle with the Giant Squid! From the novel by Jules Verne. This is the 1976 re-release cinema poster printed by Lonsdale & Bartholomew. The magnificent artwork is highly detailed including scenes inside the submarine, divers fighting and re-entering the Nautilus and even an exploding volcano. Please note 1 inch has been trimmed at the side.